It's universally known that broccoli, kale, Brussels sprouts, cauliflower, and all cruciferous vegetables (also known as brassicas) are good for you—but you probably don't know exactly how good they really are. A recent study by Johns Hopkins University and the University of Pittsburgh School of Medicine show that cruciferous veggies like broccoli and kale can actually clear air pollutants from your body. 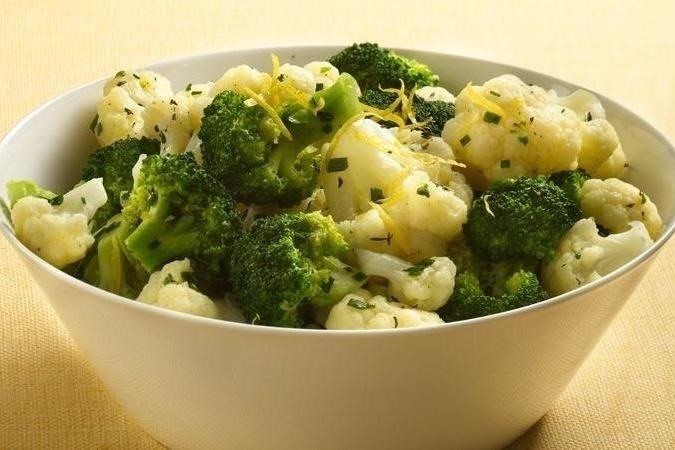 A 1999 study shows an "inverse association" between brassica consumption and cancer. In other words: the more brassicas people eat, the less cancer they tend to have. However, many people have been scarred for life by being forced to eat rubbery broccoli, bitter Brussels sprouts, or tough kale salads that have been light on taste, but heavy on virtue. Never fear. 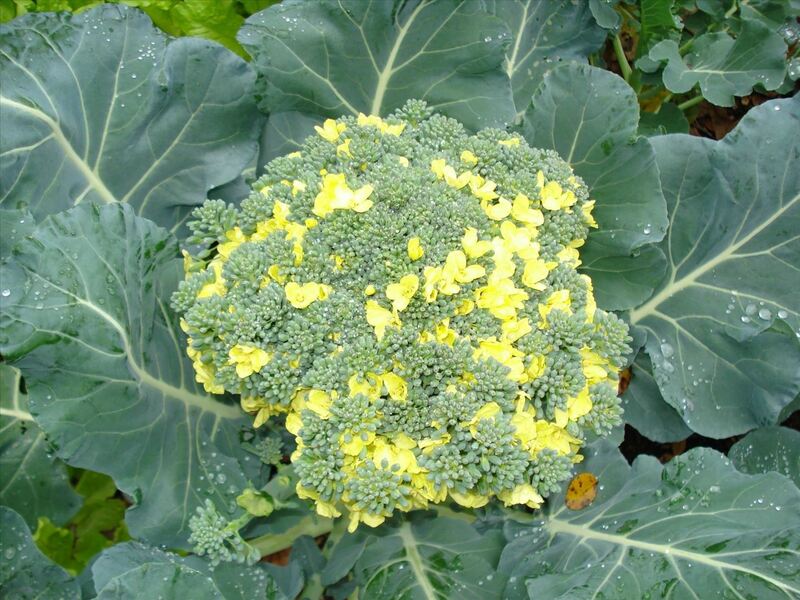 You can be healthy and still enjoy your food, especially when it comes to brassicas. You just need to know how to cook them. What Exactly Is a Brassica? Veggies that were once called cruciferous are undergoing a name change. Brassica, cruciferous: they're basically the same thing. Cabbage, cauliflower, radishes, and most hearty, dark, leafy greens like turnip and mustard fall under the plant family Cruciferae, now more commonly referred to as Brassicaceae. If it's hearty, crunchy, and has a slightly bitter or peppery edge like arugula, daikon, or rutabaga, chances are it's a brassica. A good reference list is here. Sadly, most chain supermarkets sell produce that was bred to look good and travel long distances in refrigerated trucks, since most folks tend to shop with their eyes. If it's possible, get to a natural foods or farmer's market. Many of the tips you might use to pick really ripe fruit will also apply to choosing good brassicas. When buying something with florets, like broccoli and cauliflower, make sure the florets are tightly closed and compact. 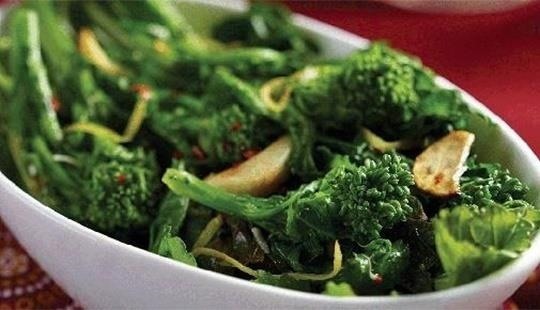 Color counts: the more vibrant and green the broccoli, the more flavor it will most likely have. If any of the florets are yellowing or sprouting little flowers, that veggie is older than it should be. Dark leafy greens should look crisp and fresh, like their stems would snap cleanly, with an audible noise. Don't be afraid to smell your brassica before you buy: it should have a peppery or sharp edge and smell fresh and green. For bulky vegetables, heft them: the heavier they feel, the more likely they are to be juicy and fresh. Avoid oversized vegetables unless you talk to the growers: sometimes kohlrabi really does have a bumper year, but most often, big just means tasteless. For a great guide on how to choose and prep specific kinds of brassicas, check out this book by former Food & Wine editor Laura B. Russell. Some people who dislike cruciferous vegetables are acutely sensitive to their bitter undertones and might be supertasters, i.e., have more sensitive taste buds at the end of the tongue. 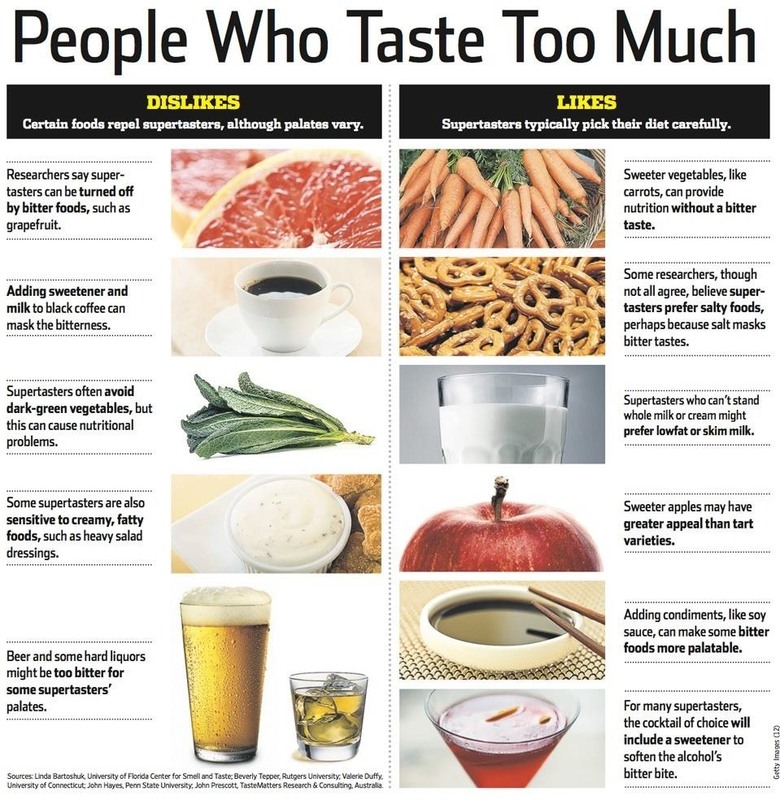 Foods like grapefruit, broccoli, and coffee come across as excessively bitter to supertasters. However, salt blocks bitterness in many foods, so using it to season your brassicas can help neutralize anything onerous in their tastes. I'd recommend using really good sea salt or even a little fleur de sel to finish off the dish. Low-quality salt will require that you use more of it to get really full flavor, and that's probably not a great habit to get into. If you suspect you are a supertaster, you're actually in good company: so are many professional chefs. Back when American cooking was kind of a sad wasteland, it was common to be served a weird pile of mush that was once cabbage or broccoli but had been steamed or boiled into submission. Not only do overcooked vegetables taste terrible, exposing them to that much heat negates any nutritional value they might have. 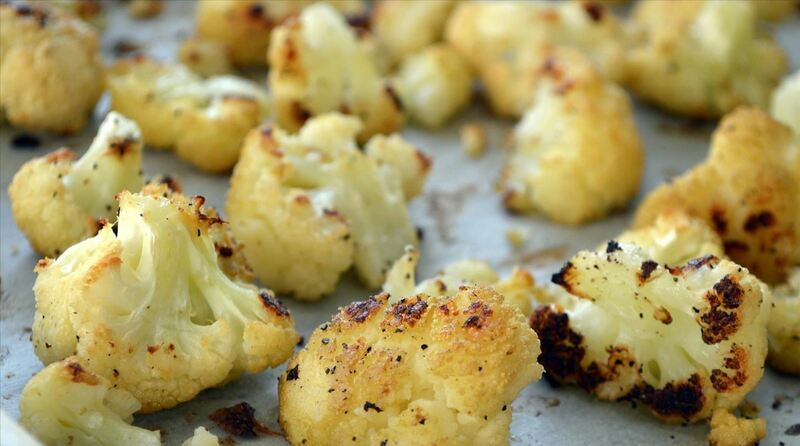 Plus, it actually makes them taste more bitter, since the overexposure to heat increases the sulphur compounds that gives foods like cauliflower a little bite in the first place. Cooking brassicas properly will reward you with tastes you didn't know the vegetables could have: complex umami flavors, undertones of sweetness, and a little bitterness for contrast. Let yourself be an adult and develop an adult palate, especially when it comes to vegetables. 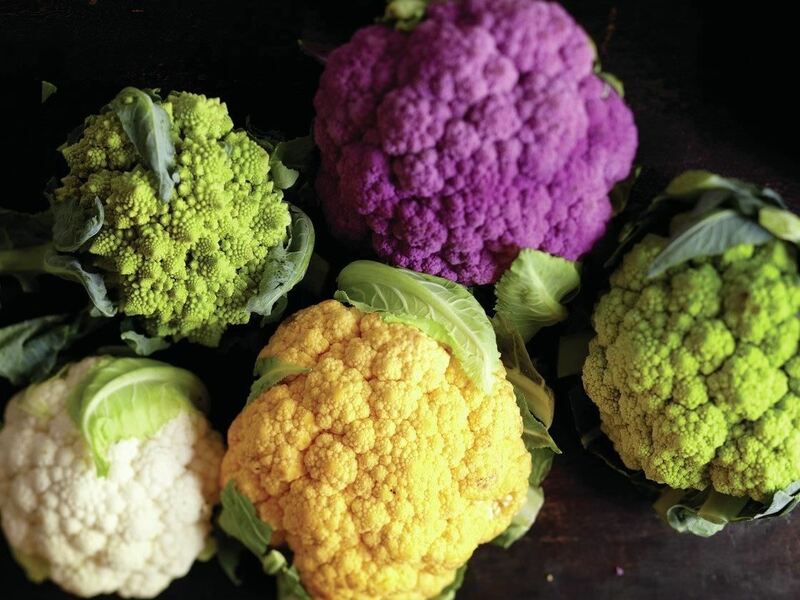 It's good to know which brassicas are on the milder side when it comes to flavor. 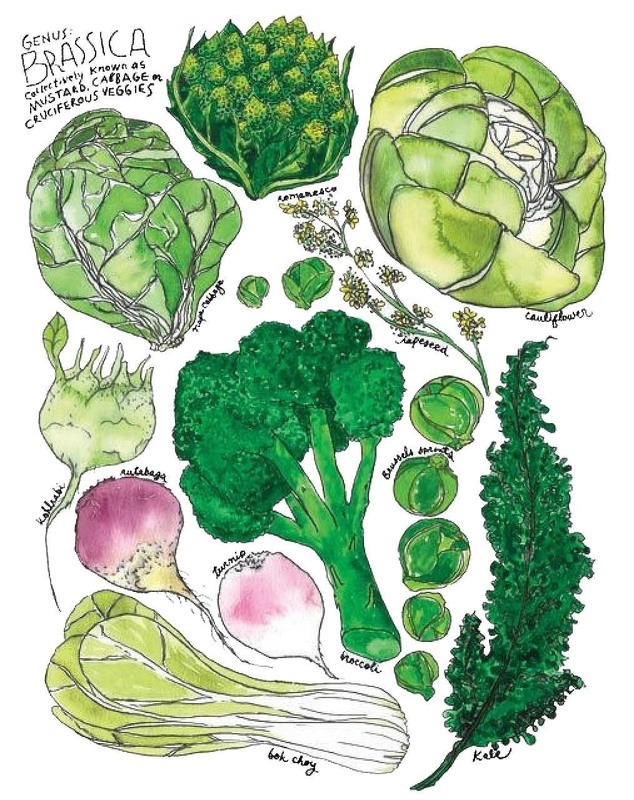 Russell recommends bok choy, kohlrabi, arugula, mizuna, watercress, young turnips and radishes, and Napa cabbage for folks who might not be able to stomach the stronger tastes of some other brassicas, like turnip greens and kale. Really good, fresh brassicas are bursting with flavor, so you don't need to disguise them with a lot of spices and heavy sauces. Doing so only makes cooking them more complicated, and who needs that? Instead, buy a really good head of broccoli and steam it until fork-tender. Dress it with some herbed butter or a drizzle of great olive oil, plus minced garlic and caramelized shallots. 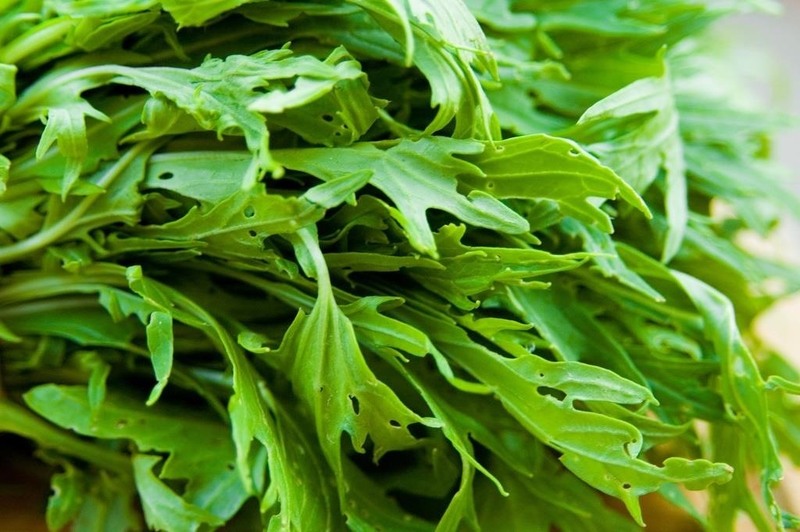 A bunch of peppery, lively, crisp arugula, dressed with a fresh lemon juice vinaigrette, can literally taste like spring itself. I personally use a variation of a method from Alice Waters, famed chef/owner of Chez Panisse, when cooking leafy green brassicas. 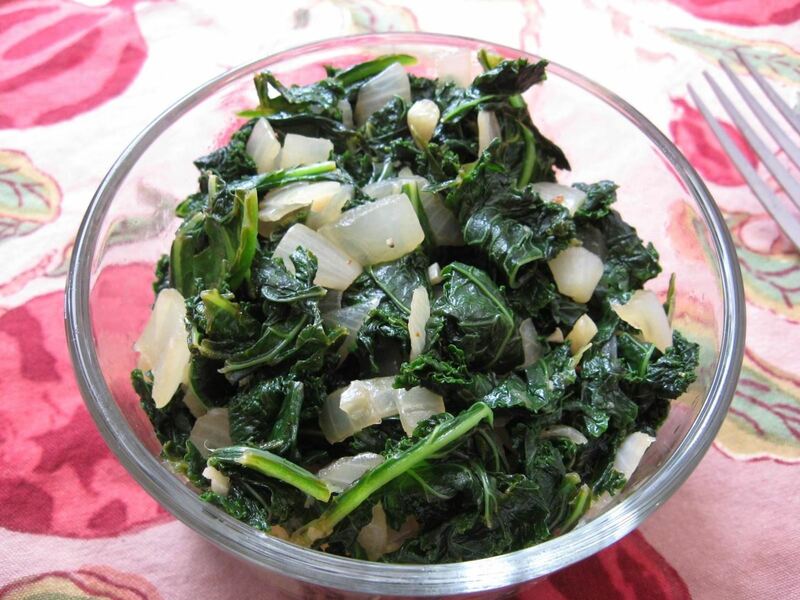 After you wash the leaves of kale, mustard, turnip, or collard greens, tear out the thick center stalk and tough midribs and cut the leaves into smaller, bite-size pieces. Wilt minced onions in some good olive oil over medium-high heat. Once the onions have begun to sizzle and brown, add the greens until the pan is covered. Once they've cooked down, add more until they're all in the pan. Next, add salt and red pepper flakes to taste. Add in minced garlic last, since it can burn easily. Cover with a lid. You can add a little chicken stock for added richness before covering the greens. Once they're cooked to your liking, turn off the heat and stir in some red wine vinegar for contrast. If I'm feeling fancy, I like to add a little lemon zest to the dish, which I feel really enhances the taste of the greens. Brassicas really come into their own when they're cooked on high heat, especially in your oven. The natural sugars within them caramelize, negating any overt bitterness. The trick is to get your oven very, very hot—say 475°F/246°C. Next, chop your brassica of choice (I recommend using Brussels sprouts, broccoli, or cauliflower if you're a newbie) into uniform-ish pieces. Toss them with olive oil and sea salt until they're lightly coated. Spread the pieces on a baking sheet and let them roast for at least ten minutes until the edges are crispy and brown, checking every so often to stir them and make sure they're not burning. Two of my favorite ways to ease people into loving brassicas are bacon and naturally sugary root vegetables, like beets, carrots, sweet potatoes, and squash. 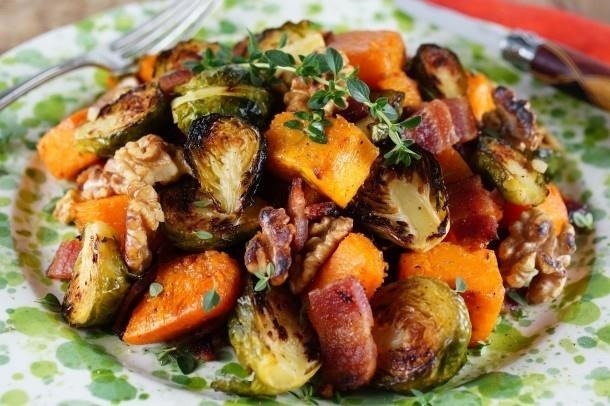 Roasted butternut squash cubes or carrots alongside Brussels sprouts that have been cooked on high heat so they taste caramelized and have crispy brown edges are absolutely sublime. Dress that dish with a little bit of bacon and grated Pecorino cheese, and you'll have people fighting each other for the last bite. The richness of eggs and cheese make a wonderful pairing with the sometimes astringent quality of some brassicas. Poached eggs or a really great grilled cheese sandwich are a wonderful way to enjoy a side dish of sautéed kale or broccoli raab. Russell describes the bold flavors of some brassicas as "wild beasts" that pair amazingly with equally strong flavors like anchovies, hot pepper, garlic, fish sauce, and cured pork. She recommends cooking big, bold dishes with brassicas and matching them up with ingredients that can stand up to their hearty nature instead of trying to make them something they're not: meek and mild. How do you like to cook brassicas? How To: Got Leftover Ingredients? Then Egg Roll All the Things! Cabbage the best to me.